Facebook completed the building of its first giant, solar-powered drone in July this year and it is now in its testing stages. The Aquila aircraft, which took 14 months to build, will offer Internet speeds of 10 gigabits per second to remote parts of the world. It has a wingspan of a Boeing 737 and can stay airborne for 90 days at a time, operating as high as 90,000 feet in the air. 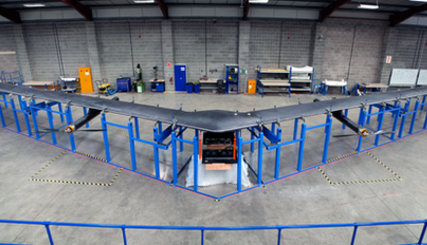 Facebook also shared footage of the building of the drone in July this year, to shed light on the science behind it. For more articles follow our LinkedIn page CAS Recruitment and tweet us@CASolutions01. Newer PostBoeing’s new 737 Max 8 Power-on Complete!